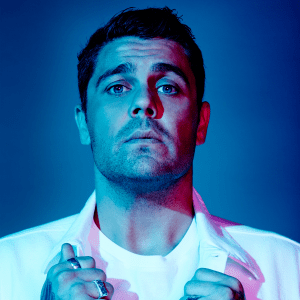 Dan Sultan is an Australian singer/songwriter and actor based in Melbourne. His electric roots rock sound has won him fans across the country. Born in the Melbourne suburb of Williamstown to an Irish father and aboriginal mother, Sultan was raised both in the city and in Northern Territory town of Yuendumu, where his father worked as a lawyer for the Aboriginal Legal Service. He began playing music at a young age, influenced by Jimi Hendrix and classic guitar rock, though tribal culture was also a mainstay of his youth and would later find a place in his musical life. Working with guitarist and collaborator Scott Wilson, Sultan released his debut album, Homemade Biscuits, in 2006 aided by a grant from musician John Butler's Seed Fund. His soulful, country-influenced rock was well-received and his second album, 2009's Get Out While You Can, made it to number one on Australia's independent album chart. He and his band went on to play most of the country's prominent musical festivals. That same year, he made his acting debut in the film adaptation of the musical Bran Nue Dae. Continuing to honor his tribal roots, Sultan was pegged to join the aboriginal music collective the Black Arm Band. In 2010, he was the recipient of two ARIA (Australian Recording Industry Awards) awards for Best Blues and Roots Album and Best Male Artist. For his third album, he and his band traveled to the U.S. to record with producer Jacquire King (Kings of Leon, Tom Waits, Modest Mouse) in Nashville. The album Blackbird was released in the summer of 2014, reaching #4 on the Australian charts and eventually going gold. For his fourth LP, 2017's Killer, Sultan moved into more of hard-hitting pop and neo-soul direction with production from Jan Skubiszewski.